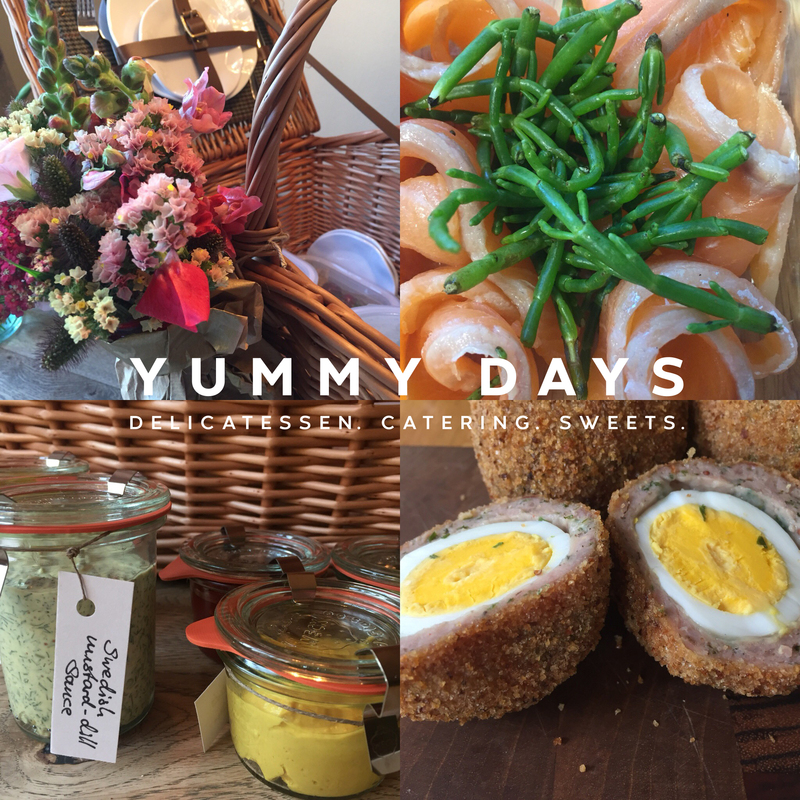 One of the greatest pleasures during the summer is our picnic hamper, handcrafted in Somerset, displaying an elaborate assortment of homemade yumminess. The hamper could be filled with authentic Austrian mini schnitzel`s and new potato salad, John Bell’s smoked salmon and our Swedish mustard-dill sauce, Scotch eggs, mini Dorset sausage rolls, artisan quiches, crudités and dips, cheese, bread and biscuits, mini cakes and fresh fruits, etc. Vegetarian or gluten free options are available upon request. And lastly, cold beverages will be served from our professional cool box, which holds up to 12 bottles of champagne upright- a delight for serious party people! 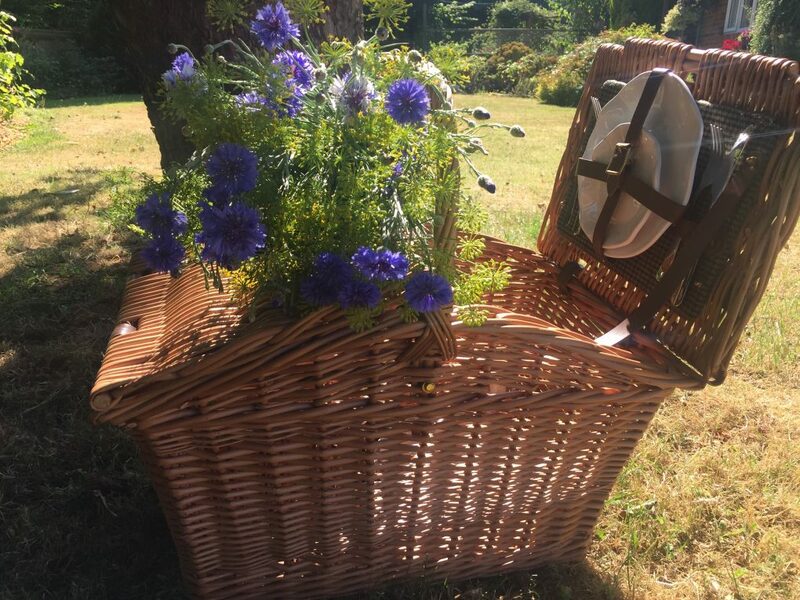 Perfect for a memorable day out, this basket is suited for 4-6 people, including crockery, glasses etc. Please allow for a 4-day preparation period upon receipt of your order.